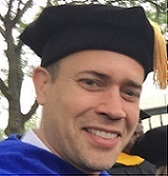 Dr. Scott Wowra received his PhD in social psychology from the University of Florida in 2005. Since that time, he has taught courses in social/personality psychology, research methods, and statistics. His research interests include moral psychology, the conscience, and the self-concept. Wowra, S. A. (2007). Moral Identities, Social Anxiety, and Academic Dishonesty Among American College Students. Ethics & Behavior. Wowra, S. A. (2017). “I hear you”: Incorporating audio feedback in your online course.. Baker College.